I love soup on cold blustery days. It warms the soul from the inside out. Not that we’ve had too many of those cold blustery days yet this winter! 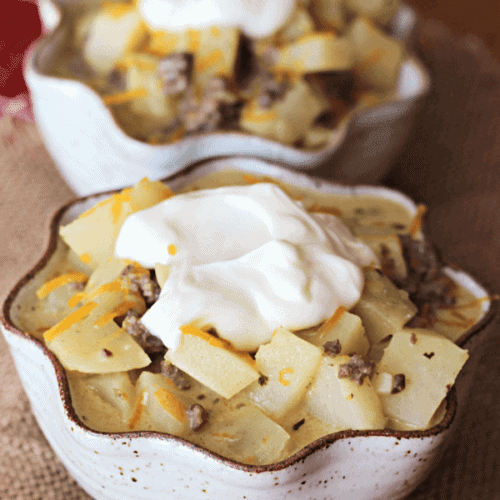 This Cheeseburger Soup is perfect for those days. 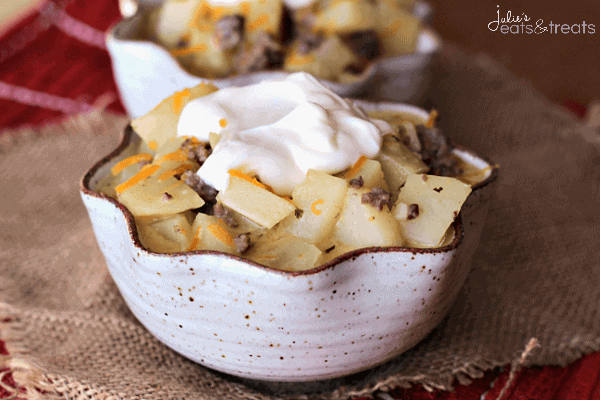 It’s got all my favorites including beef, onion, carrots, potatoes and Velveeta cheese to make it cheesy! Always a hit, you will love this soup! The snow is scarce if there is any at all in Minnesota. I love the fact that we’ve had so many gorgeous days this late into the year, but I often wonder if we’ll have winter until July? I sure hope not. I told hubby that we might have to battle a snowstorm to deliver this baby in the end of May if we get payback for this weather. Let’s all cross our fingers that does not happen! So if your winters are cold/wintery/rainy and you’re looking for a hearty, delicious soup then put this cheeseburger soup recipe on the menu! I bet you have most of those ingredients on hand already, which is perfect when there is a snow storm and you are craving this Cheeseburger Soup! What’s the key to this soup? Velveeta! It gives this soup creamy cheesiness effortlessly! 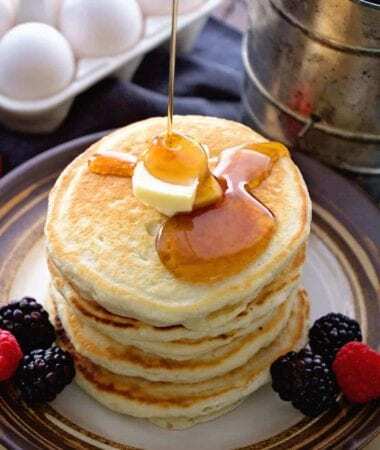 And if you love this recipe, be sure to check this one out too! Cheesy Bacon and Potato Soup! I love getting all the flavors of a delicious cheeseburger in soup form for a comforting dinner recipe in the middle of the winter. What are the best sides to serve with cheeseburger soup? 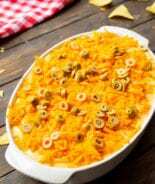 Spicy Crock Pot Cheese Hamburger Dip – the BEST dip!! 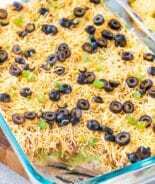 Speedy Southwestern Salad! 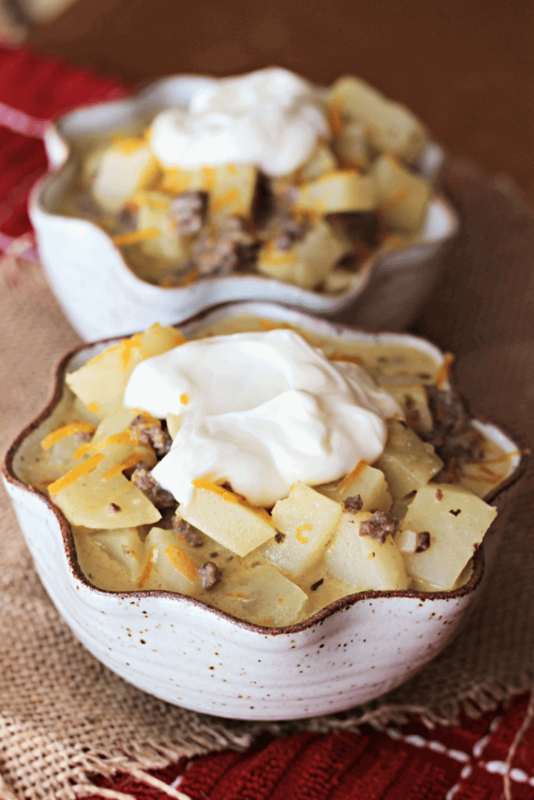 Bright tasty flavors that pair perfectly with cheeseburger soup! 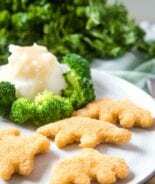 Garlic Parmesan Broccoli Recipe – An easy side that will lighten up any meal! Easy Homemade Breadsticks – love Olive Garden breadsticks? These are even better! This soup is easy and hearty. The hubby gave it two thumbs up and I’ll agree with him on that one! In a large pan brown the beef; drain and remove from the pan. In the same pan, sauté the onion, carrots, basil and parsley in butter until vegetables are tender. Add the broth, potatoes and beef. Bring to a boil. Reduce heat; cover and simmer until potatoes are tender. Meanwhile, in a small skillet, melt remaining butter. Add flour; cook and stir 3-5 minutes or until bubbly. Add to soup; bring to a boil. Stir in cheese, milk, salt and pepper; cook and stir until cheese melts. Remove from the heat; blend in sour cream. 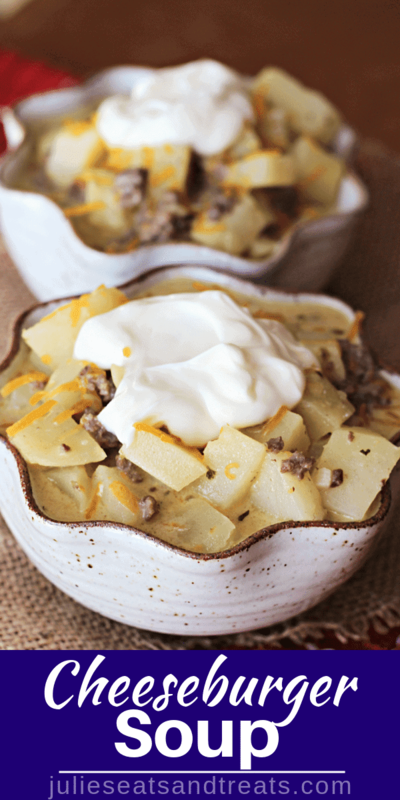 Serve up big bowls of this soup and top it off with a spoonful of sour cream. I know you’ll love this soup! When you do, be sure and let me know by leaving a 5 star rating below! 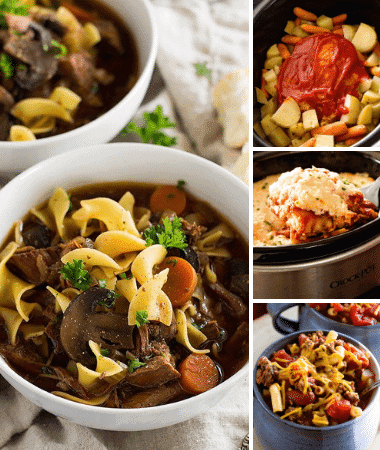 A few more of my favorite soups for a cold winter’s day! I seriously just made some cheeseburger soup a few weeks ago! Great minds definitely think alike. Oooh, cheeseburger soup sounds yummy! 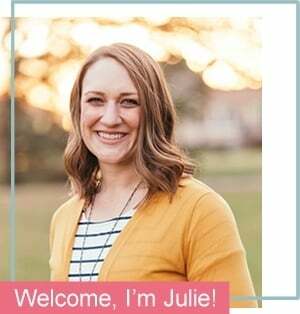 Julie – Do you think this would freeze well? Trying to think of recipes to freeze for baby time, come March. 🙂 Hope all is well! 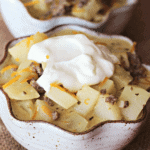 Cheeseburger soup, I love the idea! Looks so filling and chock full of potatoes! Delicious! 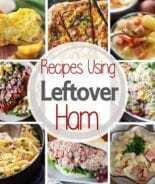 We love this for a hearty dinner that’s easy plus the leftovers are great! I’ve never heard of cheeseburger soup before, but now I can almost taste it! Sounds so delicious! Oh this is good! 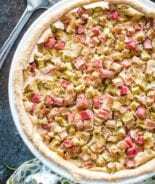 We love it, this will definitely be on our meal rotation! I know how much you love soup! This is one of my favorite soups!!! I’ll have to try your version! Ours too! Perfect for those chilly days!